Applications are open for the B.C. government's new Home Partnership program, which provides loans of up to $37,500 to help first-time homebuyers fund their down payment in the province's pricey housing market. Those already hunting for their first home, however, should know the loans are not available right away — the closing date on a purchase must be after Feb. 15, 2017 for your application to be considered. Premier Christy Clark has said the second-mortgage program will help first-time homebuyers get into the "really tough housing market," but critics say it exposes buyers to too much debt and favours "a very privileged set of people." "If you get into the marketplace and get a little bit of equity, it can change your life," said B.C. Housing Minister Rich Coleman, who shared the story of his first home — a mobile home in Alberta — before building his own house a year later. "The challenge of course is coming up with that down payment." Coleman said Monday afternoon that about 60 applications had already been started, 29 were submitted, and eight would receive letters of approval on Tuesday. The B.C. Home Owner Mortgage and Equity Partnership (or HOME Partnership) program lets eligible first-time homebuyers take out a second mortgage from the government. The government loan has a 25-year term, without interest or payments for five years. After five years, interest will start accruing and the buyer has to start repaying the loan, at whatever interest rates apply at that time. The loan can be up to five per cent of the purchase price of the home. For example, an eligible buyer purchasing a home for $600,000 could borrow up to $30,000 from the government under the program. The loan will be registered on the property title as a second mortgage, along with legal costs the homeowner will owe B.C. Housing. When asked about the risk of first-time buyers taking on two mortgage payments — one to the bank and one to the B.C. government — Coleman said he didn't expect it would be a problem. The loan has to be fully repaid when the home sells and Coleman said data show many buyers sell their first home within seven years. 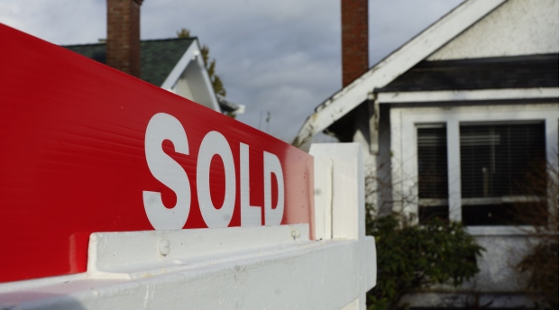 The time to apply is after you've saved for a down payment and get pre-approved for a mortgage — but before you actually start making offers on properties, according to B.C. Housing. Applications with supporting documents can be made online, starting Monday. The closing date on a deal must be after Feb. 15 for an application to be considered. Once approved, applicants can make an offer on a home knowing the loan amount that will be available to them from B.C. Housing and the legal costs they'll have to pay to take out the loan. To be eligible, an applicant needs to be a Canadian citizen or permanent resident for five years, live in British Columbia, have a household income under $150,000 per year, be pre-approved for a high-ratio mortgage, among other requirements. The applicant also has to be buying a home for less than $750,000 that will be used as their principal residence for five years. The program ends March 31, 2020.